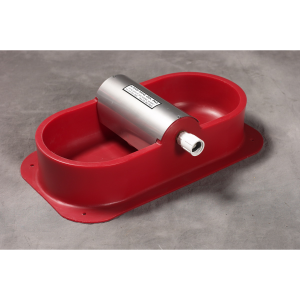 Pet Feeders & Waterers | Kane Manufacturing Company, Inc. 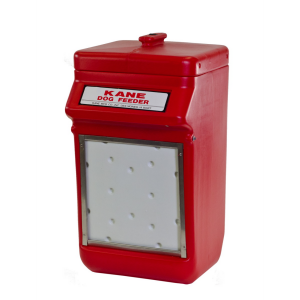 The Kane Kennel Feeder is made of high-density, durable polyethylene. 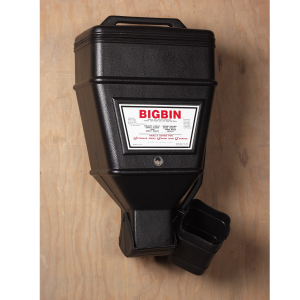 11″H x 9″W x 13″D – Holds 5 lbs. of feed. If you are interested in the Kane Kennel Feeder, we invite you to call 800-247-0038 or fill out the contact request below. Mount these completely assembled products to any surface. 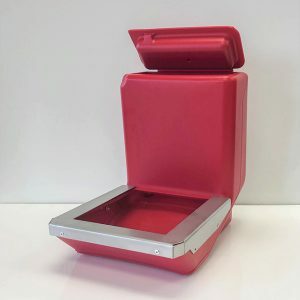 Kane's Automatic Dog Feeder is the most durable on the market and easy to clean. 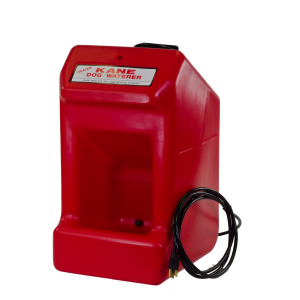 The Kane Heated Dog/Pet/Small Animal Waterer has an automatic, electric 110v thermostat that controls water temperature, no frozen water. Polyethylene body with stainless steel valve cover. It won't rust, corrode, or break. Size: 21" x 11" x 4 1/2".